In 2015, there were 1.2 billion international tourist arrivals around the world, a 4.4 per cent increase on the previous year, according to United Nations World Tourism Organisation (UNWTO). The organisation forecasts that global tourism will grow another 4 per cent in 2016, and that the figure will reach 1.6 billion by 2020. Destinations want to capture the interest of leisure and business global nomads, and as tourism has grown, we’ve entered a period of über-competitiveness. Every serious destination – urban and rural, countryside and coastal, mountain and desert – is working hard to create destinations that people want to visit. 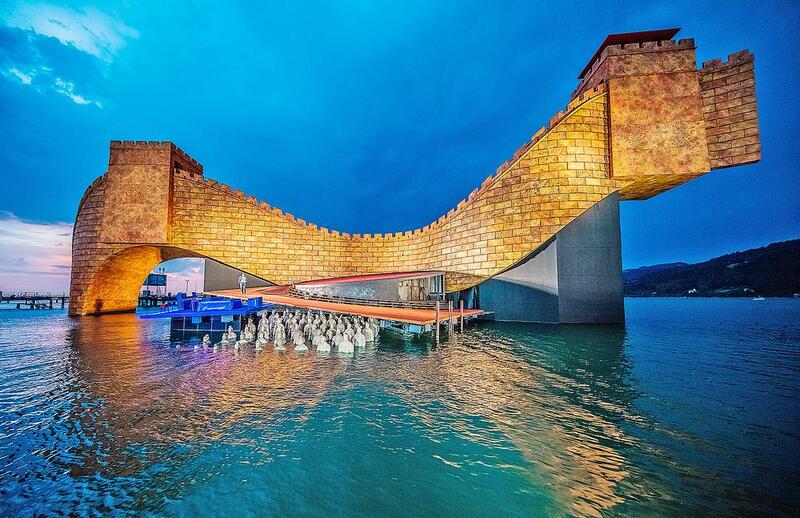 In this ruthless business environment the role of architecture has emerged as a major factor in creating appealing, sustainable and successful destinations, but architecture and fine buildings have always been at the heart of international travel. From Hagar Qim on Malta – purported to be the world’s oldest structure – to Rome’s Colosseum and Frank Lloyd Wright’s Oak Park in Chicago, Illinois, great structures have helped draw tourists to a destination. From the allure of the wonders of the world to the traditional “Grand Tour” taken by the elite around Europe, great buildings have always characterised destinations. 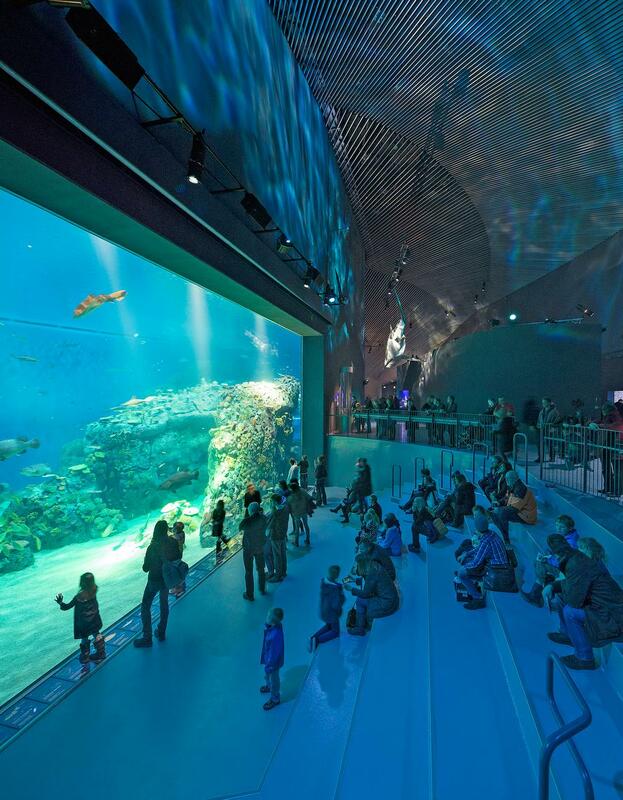 Over the past two decades, contemporary architecture, iconic buildings and the commissioning of “starchitects” has become the new paradigm in destination differentiation. 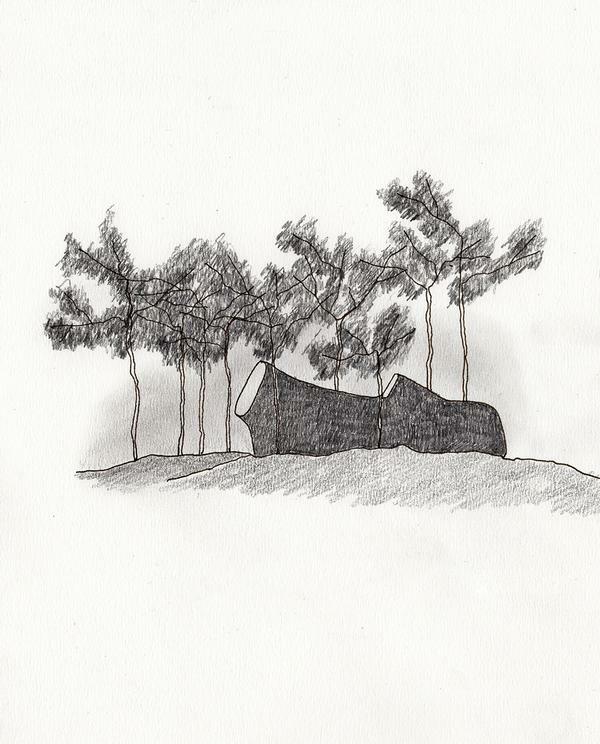 The works of Frank Gehry, Santiago Calatrava, Daniel Libeskind, Richard Rogers and Norman Foster now pepper landscapes and cityscapes around the world. 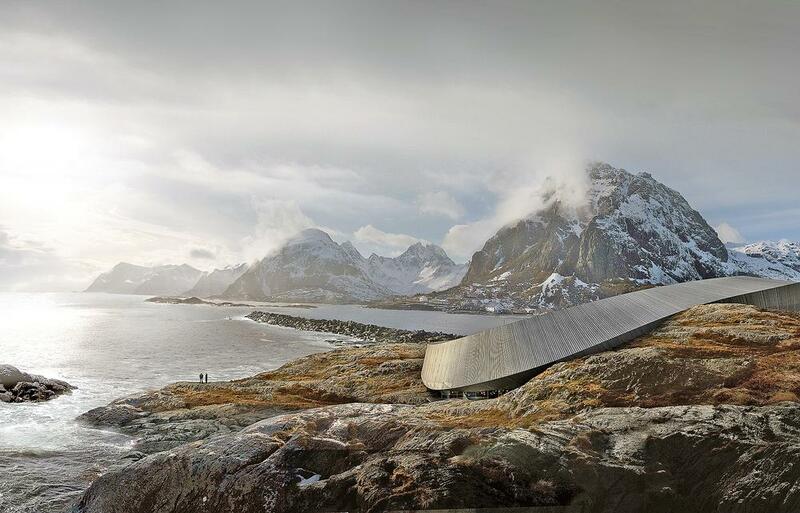 To name a few: the Dublin Canal Theatre (Libeskind); MGM Mirage, Las Vegas (Joel Bergman); the Denver Art Museum (Libeskind); the Pérez Art Museum in Miami (Herzog & De Meuron); the Yangi Lake Kempinski Hotel in Beijing (Shanghai Huadu Architect Design) or the Lofoten Islands Opera House in Norway (Snøhetta). Nowhere is this better experienced than in the Basque Country. 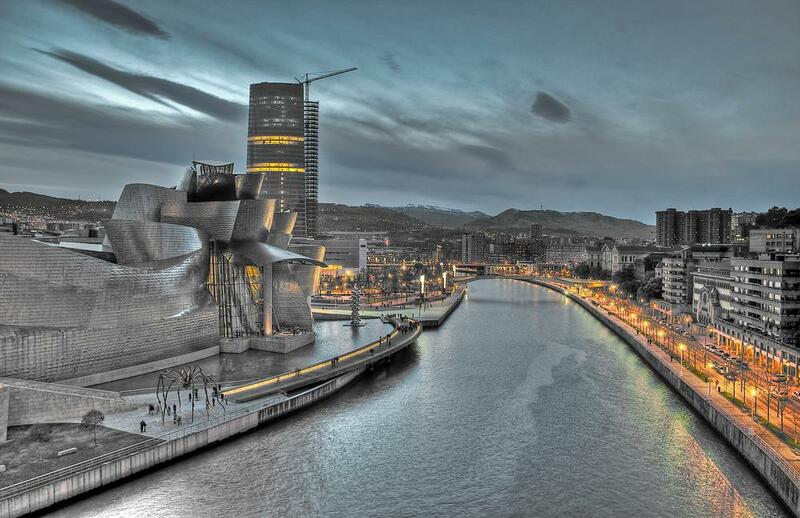 Bilbao has embraced many of these names in one form or another to acclaimed success since the city first invited Gehry to design the city’s Guggenheim in 1993. San Sebastian, the Basque Country’s centre for gastronomy and film has followed suit. Some 80km south of Bilbao in Elciego, the Marqués de Riscal Winery has created a City of Wine, a 10-hectare complex devoted to making and studying wine. A €66m investment involved spending €30m on improving wine production and €36m on creating a Gehry-designed iconic building and restoring old buildings. Hiring Gehry to create a masterpiece of architecture and design at the heart of the City of Wine was a pure marketing statement. The company made a calculated decision that the most effective, dramatic and sustainable way to capture the world’s attention about Marqués de Riscal was through Gehry. It was a way to compete on the world stage. Alejandro Aznar Sainz, chairman of Marqués de Riscal, says the investment far exceeded their expectations. 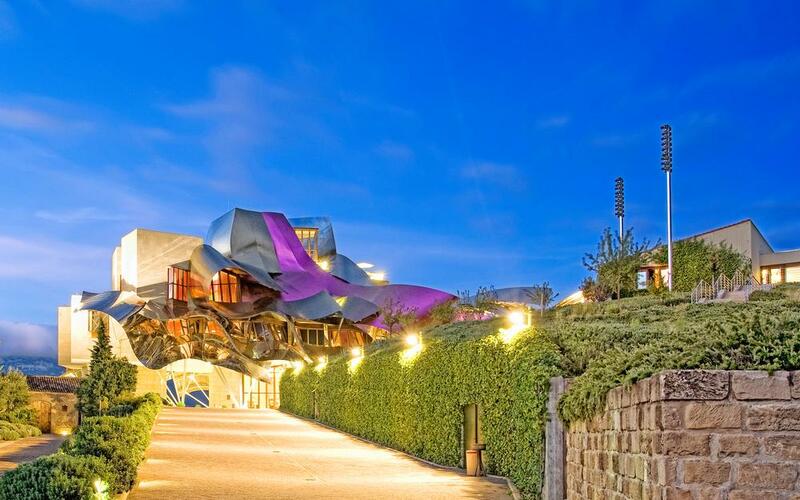 “The building is an expression of the philosophy of Marqués de Riscal. The values of the company are heritage, tradition, modernity and innovation. Gehry has captured our ambitions in this building and its boldness has captured the imagination of the world’s media,” he says. 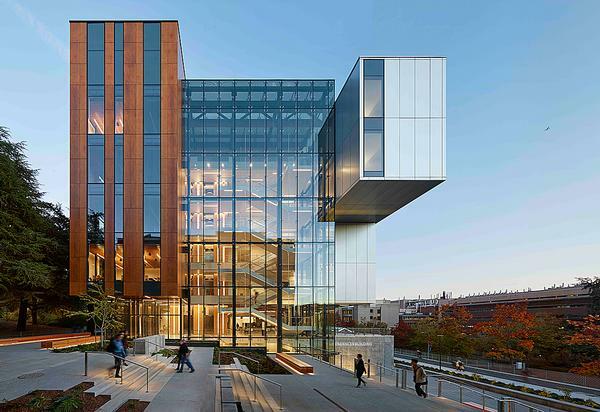 The new business model aims to take “someplace” or even “no place” to a world class, competitive destination, and that model is apparently increasingly predicated upon a heavy investment in bold, fresh, often provocative new architecture. 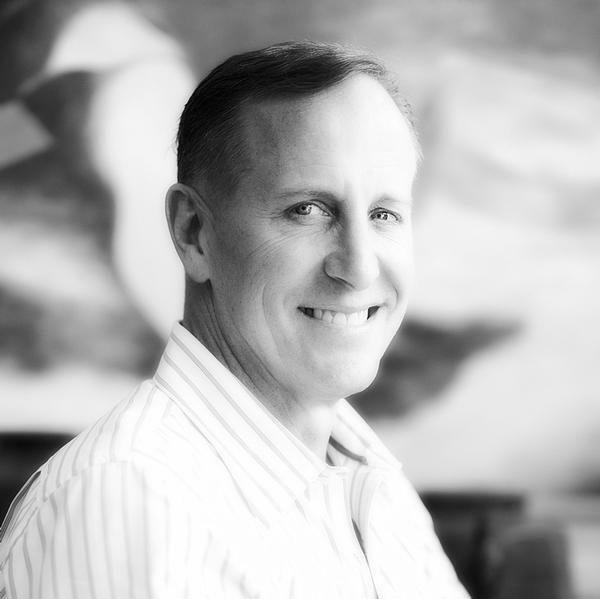 Today – as never before – architecture features as a major component of destination development and marketing. There is a fast-growing trend where leading destinations are placing their architectural heritage and contemporary urban designs at centre stage. The first objective study of the power and impact of architecture on tourism – Architecture Attracts Visitors by Pla’tou (the Platform for Architecture in Tourism) – was undertaken in Austria in 2007. The study interviewed over 50 tourism entrepreneurs and surveyed 150 tourism operators, investors and developers. 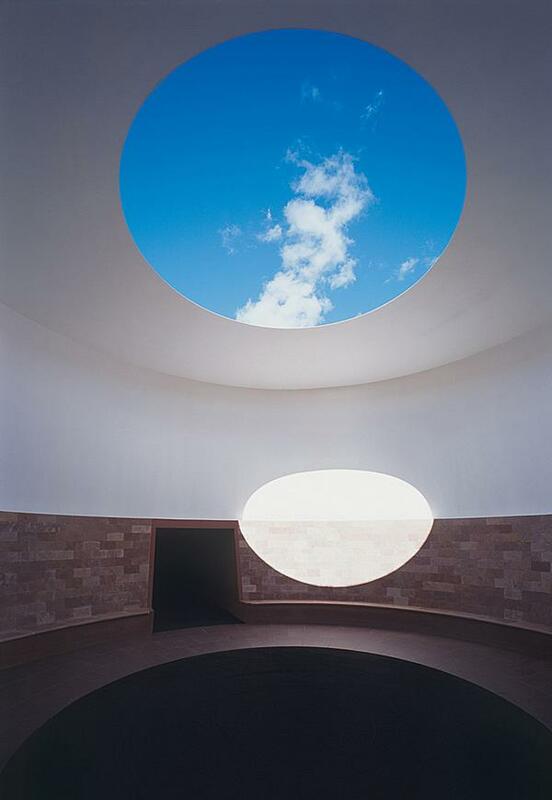 • What are the experiences of entrepreneurs using contemporary architecture? • What are the factors that attract visitors? 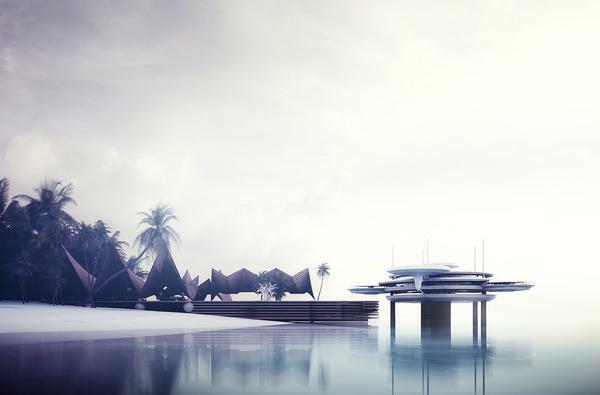 • What are the critical success factors for investors who want to use contemporary architecture for success in tourism? 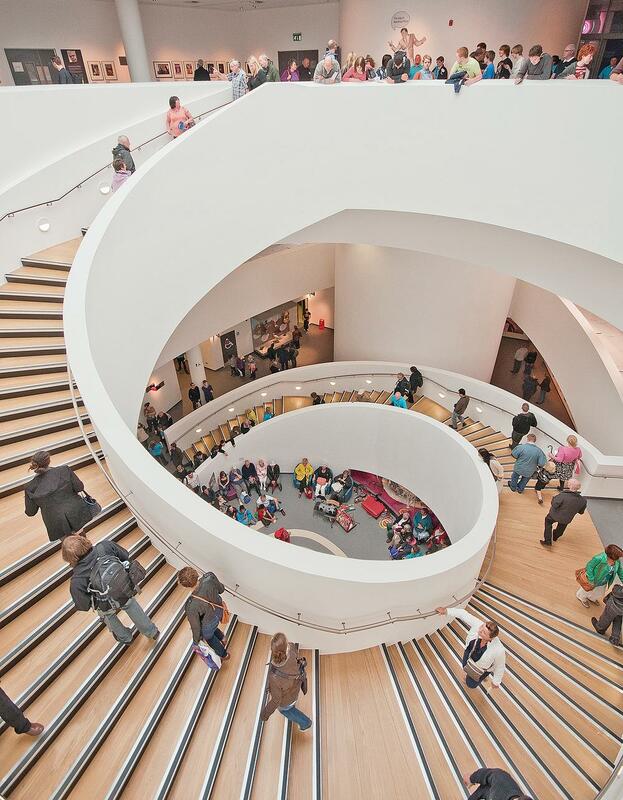 • What are the positive tourism impacts of using contemporary architecture? • The opportunities for destinations are all about positioning and competitive advantage; respondents cited the following benefits of using contemporary architecture as perceived by tourists: cultural vitality, sophistication, innovation, creativity, added value and quality. Copenhagen, Aarhus, Oslo, Liverpool, Zurich, Bilbao, Barcelona, Abu Dhabi, Dubai, Chicago, Las Vegas, Denver, Singapore, Melbourne … These city destinations are taking full advantage of these opportunities. In most instances architecture’s role in city tourism is to refine identity and image, as can be seen in relation to Bilbao and Liverpool. In other places, the approach is used to define the identity of a place, such as in Copenhagen, Dubai or Las Vegas. 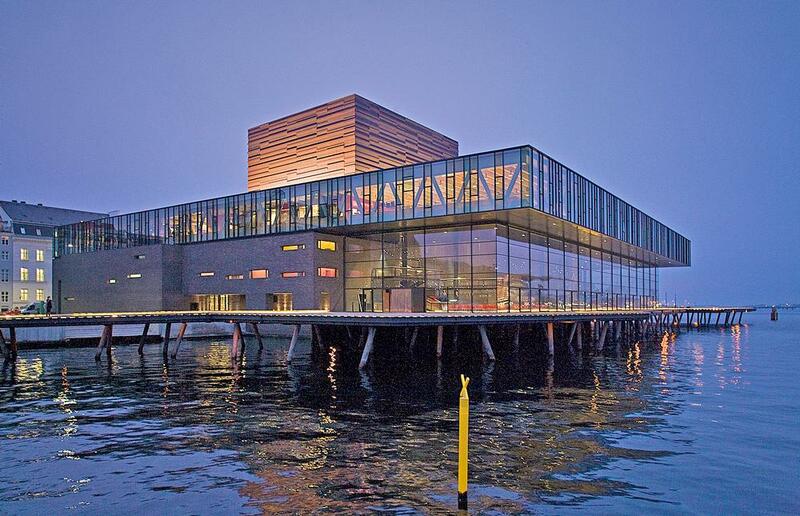 Along with Bilbao, Copenhagen has harnessed the potential of architecture tourism in the most strategic fashion. The past decade is widely regarded as being one of the most important in the city’s development, with former industrial areas and harbours converted into city districts and star architects and local talents creating new buildings and public spaces. Copenhagen’s creative thinking and innovative approach to city development are captured in its headline buildings, including Dr Concert Hall (Jean Nouvel), the Royal Danish Playhouse (Lundgaard & Tranberg), Ordrupgaard Museum (Zaha Hadid), the Opera (Henning Larsen) and the Den Blå Planet aquarium (3XN). The new urban spaces such as the Harbour Baths and Kastrup Sea Baths add playfulness and serendipity to the city. Beyond the northern suburbs of Copenhagen the contemporary theme continues as you travel past the Louisiana Contemporary Art Gallery into the town of Helsingor, the home of the new M/S Maritime Museum of Denmark (BIG). 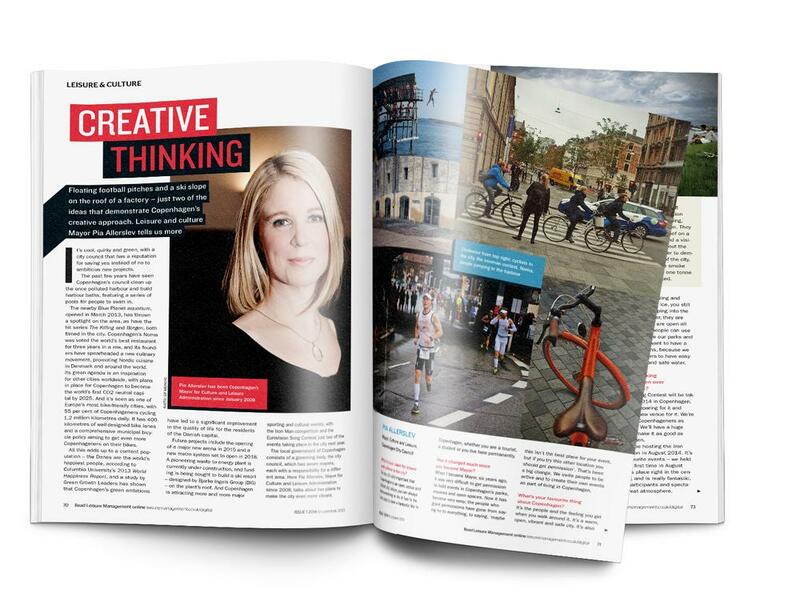 In an interview in Leisure Management (issue 1, 2014), then-mayor for culture and leisure, Pia Allersev, talked about the innovation witnessed in Copenhagen. In rural destinations there are two outstanding examples of destinations where contemporary architecture is now driving tourism. The first example describes how a rural area with a flagging agricultural economy has developed a global reputation as a world class destination by using the power of architecture. In the second example, the experience of a country harnessing contemporary architecture in an innovative manner is discussed. The first example is of Bregenzerwald in Austria, bordering Germany, Switzerland and Litchenstein. This area of attractive pasture and forest is home to some 24 small communities and a population of 30,000. From the early 1970s, the communities of the region had developed a super-municipal authority to improve the quality of life for the residents. Decreasing real incomes from the area’s agriculture in the 1990s generated the need to look to alternative sources of income. In 1992 the Nature and Life Bregenzerwald initiative commenced with Bregenzerwald Tourism taking a lead role in creating “an integrated eco-social living and experience space”. Regional Development Bregenzerwald Plc was established to manage the programme. With the emerging success of the culture house, a contemporary art gallery (Festspielhaus Bregenz) and the extraordinary Bregenzer Festspiele, an annual open air opera on a floating stage on Lake Constance in the city of Bregenz, the development company decided to focus on a tourism strategy that would forge a strong connection between contemporary architecture, design and nature. This would create a platform for adding value to the landscape, attracting international visitors and growing civic pride. The result has been impressive. There are now around 10 five-star hotels, all featuring contemporary designs, including the Gams Hotel, the Martinspark Hotel and the Krone Hotel. 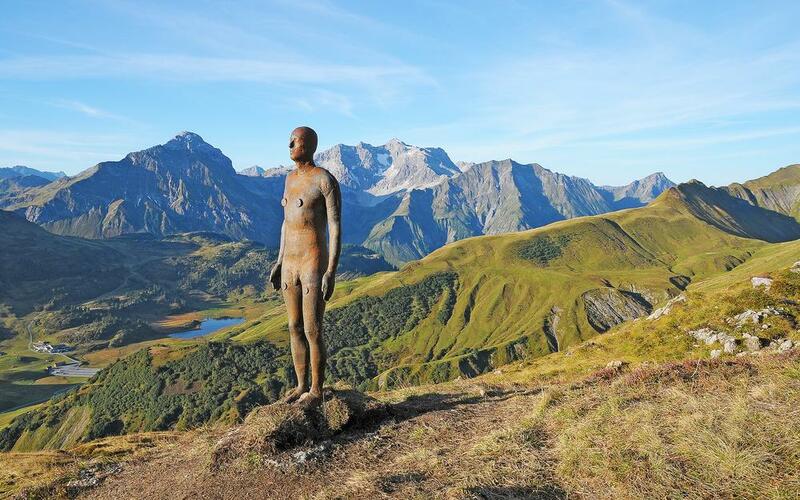 The region’s walking and cycling routes are linked by a landscape installation of Anthony Gormley’s Horizon Field, with a 100 life-size bronze figures spread across the high Alps. And a new scheme has been completed where bus shelters have received a unique contemporary architectural treatment to align them with the fleet of new eco-buses that run between each village every 15 minutes. 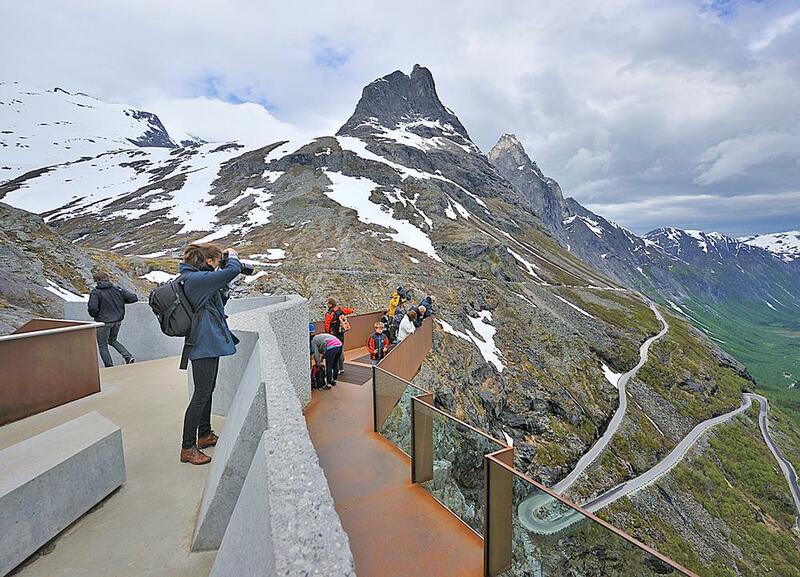 The second example is the story of Norway's tourist routes, which started in 1994 as a trial project to offer motorists an alternative to main roads that gave them access to stunning architecture along the way. An architectural committee was established by the Norway Public Roads Administration and architects assembled. Following a pilot project in the period 1994-1997 the Norwegian government decided to take the concept forward. 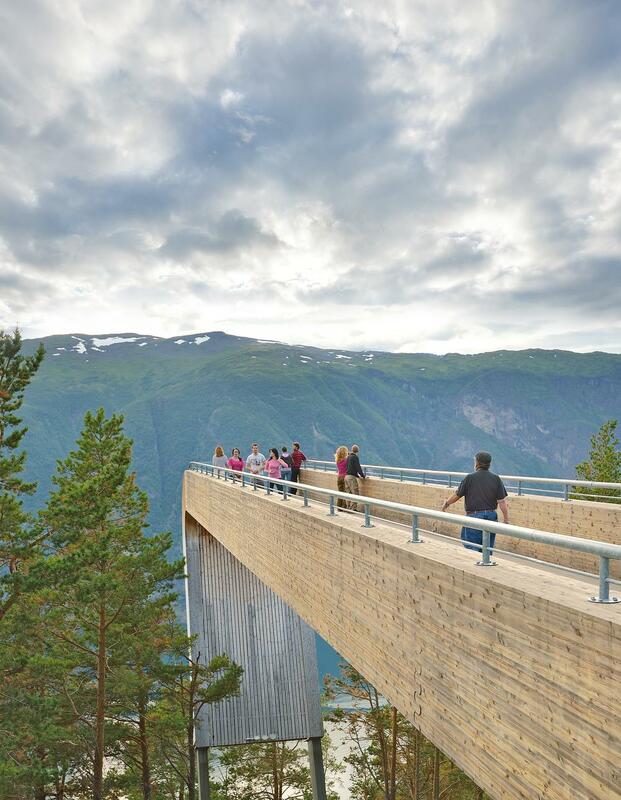 There are now 18 National Tourism Routes (NTR) in Norway, all of which have to be completed by 2020. Running along the coast and fjords, through countryside and mountains the routes offer world-class scenery and architectural installations. What constitutes good design or appropriate design is, of course, subjective. Disneyland is superbly designed but the increasing ‘Disneyfication’ of parts of the cultural landscape may be wholly inappropriate. This suggests the prominence of “sense of place” as the starting point for new architectural interventions. 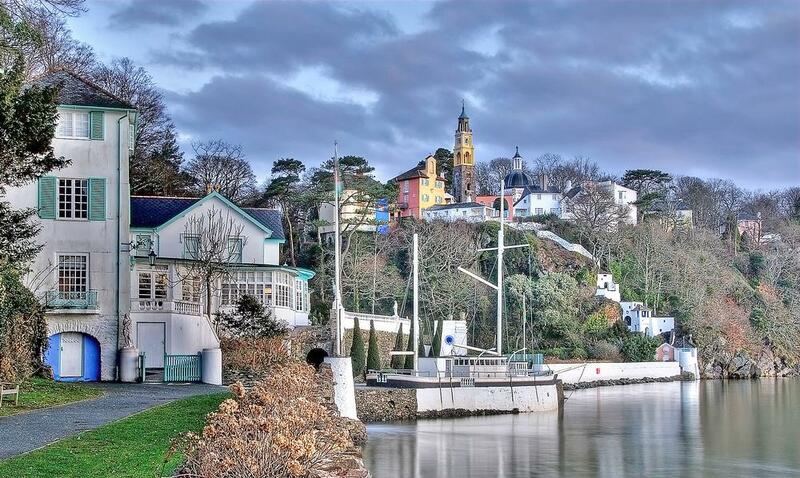 However, especially within the world of tourist attractions, there are many successful exceptions to this rule, such as Clough Williams-Ellis’ extraordinary Italianate village of Portmeirion resting on a cliff edge in Snowdonia or William Burgess and William Morris’ opium-inspired masterpiece that is Cardiff Castle and its outlier, Castell Coch. The role and significance of the “iconic building” designed by the “iconic architect” in destination development is often contested. 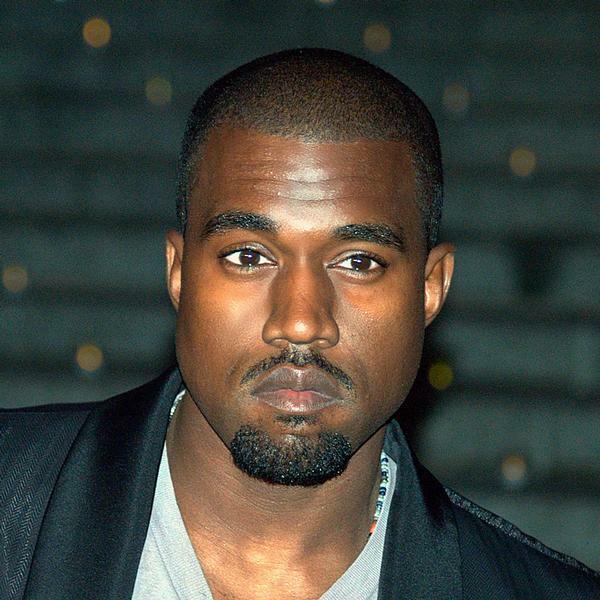 The topic certainly stimulates considerable debate. What is incontestable is that for many destination planners the iconic is essential. These trophy buildings – be they stadia, museums, galleries, hotels, resorts or public architecture – rapidly become the symbols and images of the destination itself. Charles Jencks, one of the leading figures in creating destination land art, explains the contribution of the iconic in his book, The Iconic Building: The Power of the Enigma. Jencks then explains the rationale for the phenomena that is the surge by destinations to have their own iconic buildings. So, instant fame – capturing the attention of the world’s media – providing destinations with the imagery and tone that will encapsulate their tourism brand and position. It’s “the war of the hot labels”, Jencks says, referring to the whole process of place promotion and marketing. Plagiarism doesn’t work. Every destination needs to find its own narrative and convert this into a design specification for placemaking. This must be informed by the destination’s core values, its territorial, cultural and heritage assets and its inherent sense of place. 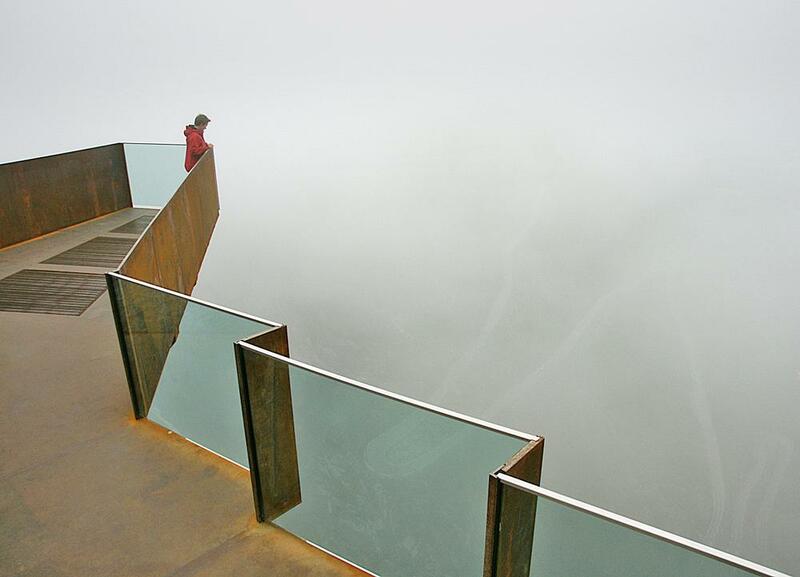 In the increasingly competitive global tourism market, destinations are striving to stand out. However, too many are following others when their real need is to be different. As a result, we are drowning in a sea of sameness. We must break from this trend by looking to hybrid thinkers to deliver hybrid solutions. It means that the architecture and design industries together with its paymasters in the tourism industry must be willing to embrace alternative voices, skills and talents.